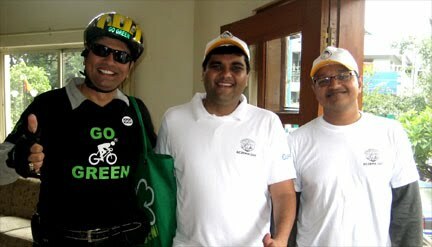 GoGreen & BDS-Dr's Cycling Rally 25 July 2010 - GGI-Group size: 4000+ Professionals, Increasing on day to day basis, Come & join us 2 serve Mother Nature. Total 46 GGI's Participated in this GGI & BDS Dr's Cycle Rally, Started from RIS junction by 7:15am and reached Cubbon Park City Library where we had our Major & Dr. Srinivas who along with other GGI's were waiting for us. Samim & Sreeram presence was a pleasant surprise for the whole group.. Started towards Vidhan Saudha to join the Dr's. We all started off from this venue @ 8:30am. 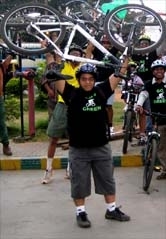 Child Director Kishen flagged the rally and also cycled along with us till City Institute chamrajpet which was the end point of our Rally.. 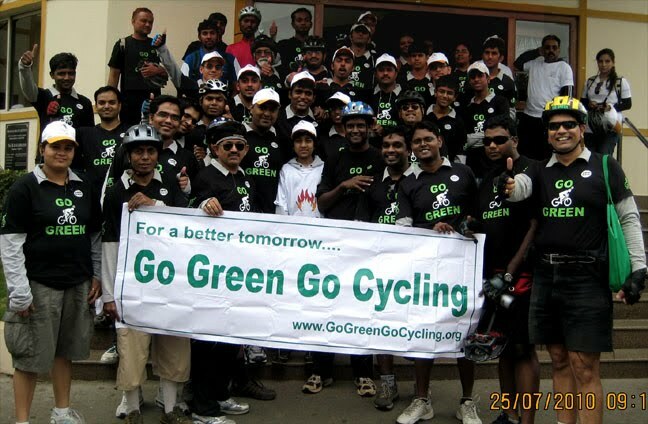 This was the first time that GGI has partnered with BDS Dr's and the event came up to be very successful, All Dr's were really appreciated our Go Green Initiative. We had a Breakfast blast @ the Venue followed with vote of thanks and then dispersed. Route Followed was as below. Vidhana soudha--Martha's hospital--Hudson circle--Geo hotel-- Lalbagh--Minerva circle—Chamrajpet City institute. 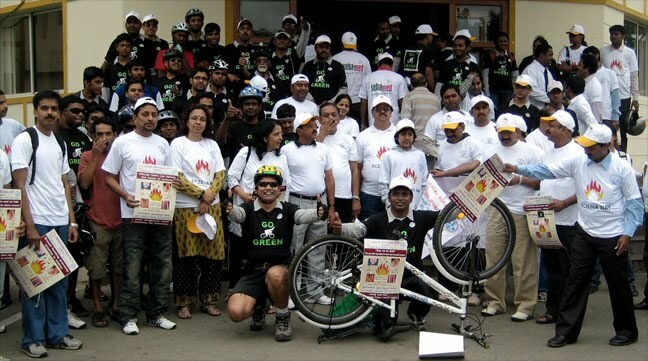 Today was my first cycling experience with you guys in Bangalore. 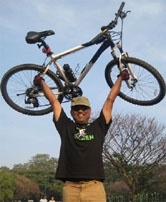 It was great cycling trip to cubbon park and cycling in the city of Bangalore by spreading the massage of GO GREEN GO CYCLING. Bangalore roads and my overflowing inbox with updates from GGI, got me curious and pushed me to actually go on the weekend ride. I had done a lot of impromptu rides with my friends but nothing like the Sunday one which was my first ride with GGI folks. The Sunday ride turned out to be a lot of fun and surpassed my expectations. Initially, I was very apprehensive of participating in the weekend ride and was very doubtful about my ability to complete the circuit. The GGI folks turned out to be cool and chilled irrespective of their age. The enthusiasm was contagious and all my doubts [infact the thought of not completing the ride] flew outside the window. 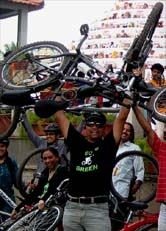 The mix of people and their willingness to share cycling gyaan is awesome. I am completely sold on the idea of taking cycling as a serious hobby. I am looking forward to a lot of fun times [with a message to give out to the society too] with GGI!